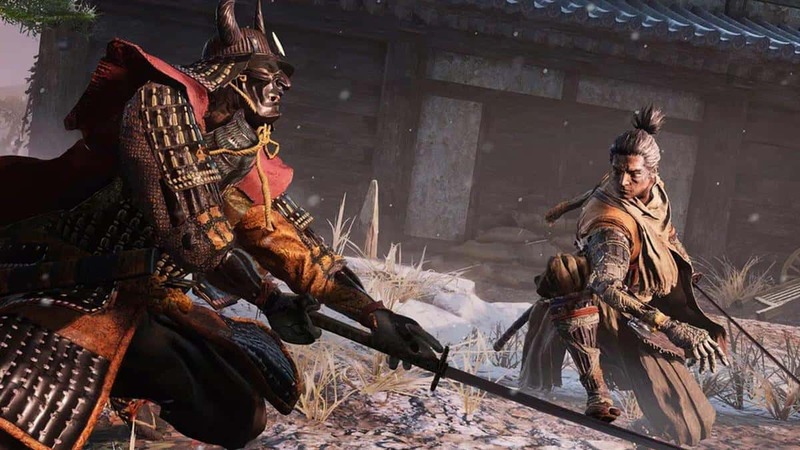 Sekiro Shadows Die Twice Ashina Depths Walkthrough will help you navigate through Ashina Depths to acquire the Shelter Stone after defeating the Corrupted Monk boss. In addition to this, you will also encounter some mini-bosses in the area. Travel to the Abandoned Dungeon – Bottomless Hole Sculptor’s Idol and follow the path ahead where you will meet a praying woman. Talk to her and jump down the cliff into the abyss just ahead of the woman. While you are falling, use the Grappling Hook to get to the cliffs. 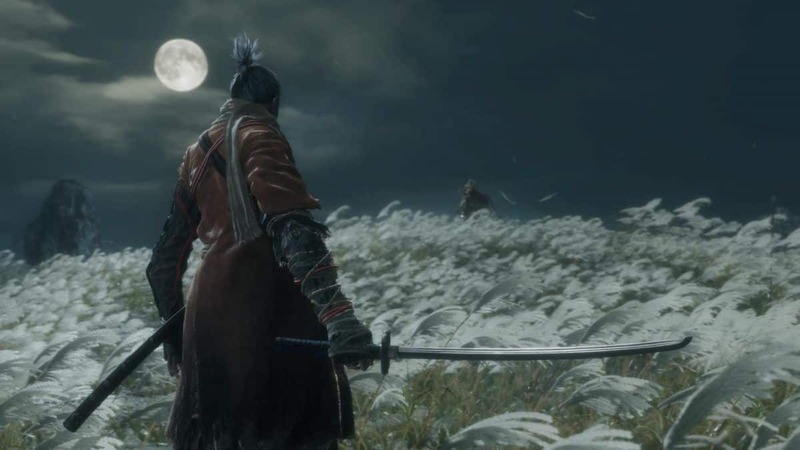 Once you are at the bottom, follow the cliffside to the left until you reach the Ashina Depths Sculptor’s Idol. 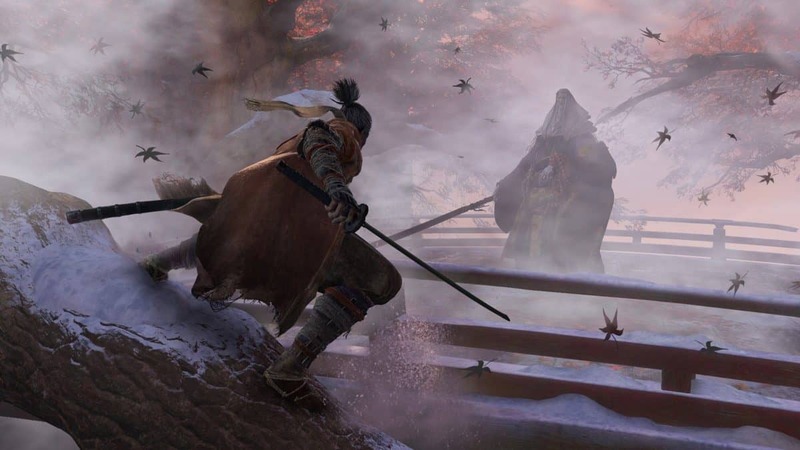 Interact with it to arrive at Ashina Depths. Move ahead and you are in a room full of poisonous water. Do not stay in the water for too long, as it will inflict “Poisoned” status. 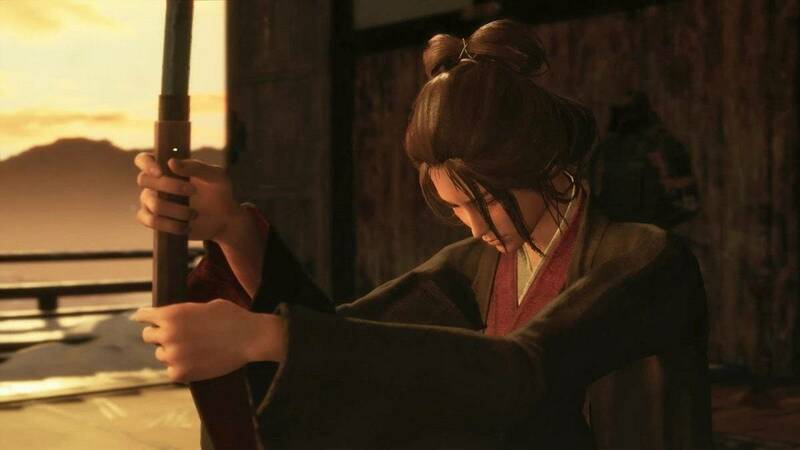 You will also face the Snake Eyes Shirahagi mini-boss in this area. To progress ahead, you need to defeat the Snake Eyes Shirahagi. When the mini-boss is defeated, interact with the Poison Pool Sculptor’s Idol to disperse the mist and progress ahead. Keep following the path ahead. It is linear and you will reach the Hidden Forest Sculptor’s Idol. There will tree branches ahead of you. Make your way across them or through the ground if you are feeling like killing enemies. 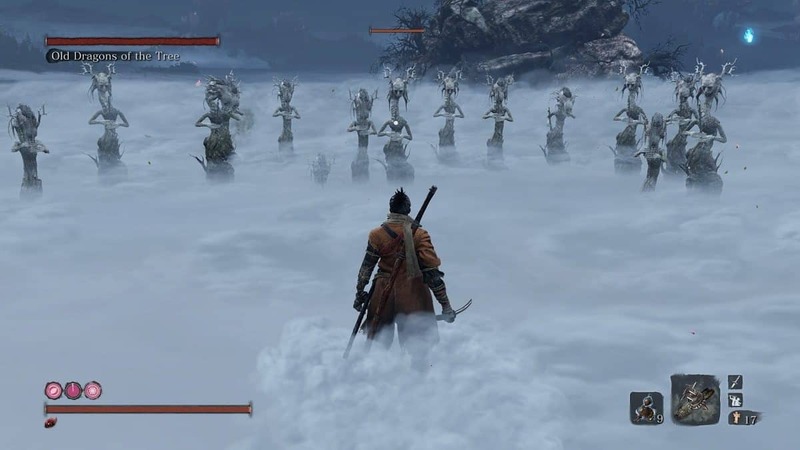 You will come across a foggy area with some enemies here. To the left side of this foggy region, grapple to the branch and you will come face-to-face with Tokujiro the Glutton mini-boss. This mini-boss is same as the Juzou the Drunkard and has some monkeys around. Kill those monkeys first and apply the same strategy as you did while fighting Juzou the Drunkard as he has the exact moveset. Jump to the little cliff from where a sniper was shooting at you. Go to the cliff and to the right there is a branch you need to grapple to. Grapple ahead and you will come to a big tree using which you will jump to the roof of the temple from where the flute music is coming. The roof of the temple is damaged through which you can get inside. Drop down and you will face the Mist Noble mini-boss. Kill this boss and the mist will clear. Moreover, a hole in the ground will appear and you will jump down from there and interact with the Mibu Village Sculptor’s Idol to unlock fast travel. After interacting with the Sculptor’s Idol, you will go through the village while killing enemies along the way. Moreover, enemies in this area are very easy to kill and a group of them would die in just one swing. At the end of the village, you will see a tall tree with white leaves along with a mob of enemies. Go through them and you will reach the Water Mill Sculptor’s Idol. Ahead of the Sculptor’s Idol, you will spot a woman playing the flute. Talk to her and she will attack you. However, if you did not Jinzaemon Kumano to his death in the Abandoned Dungeon and she will have different dialogue. After you have defeated O’rin of the Water, go across the bridge and keep moving forward until you reach the Corrupted Monk boss fight. However, this is just an apparition of the real Corrupted Monk and is relatively easy. This boss only has one HP bar and has the same moveset throughout the battle. Once the Corrupted Monk is defeated, go through the Wedding Cave door and go through the cave. Grab the Shelter Stone that Koru needs. 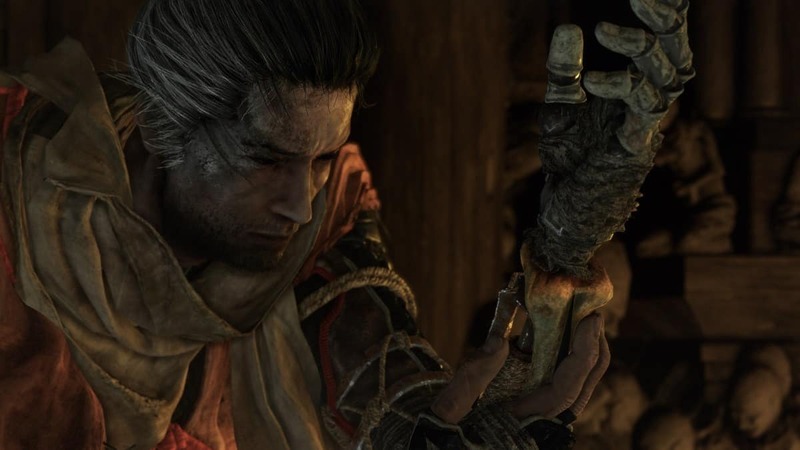 If you have completed the Sunken Valley and have the flower then you need to go to the Ashina Castle but Sculptor’s Idols there will be locked and you will go through the Abandoned Dungeon Sculptor’s Idol to get there. If you have not already then out Sunken Valley walkthrough will help you. 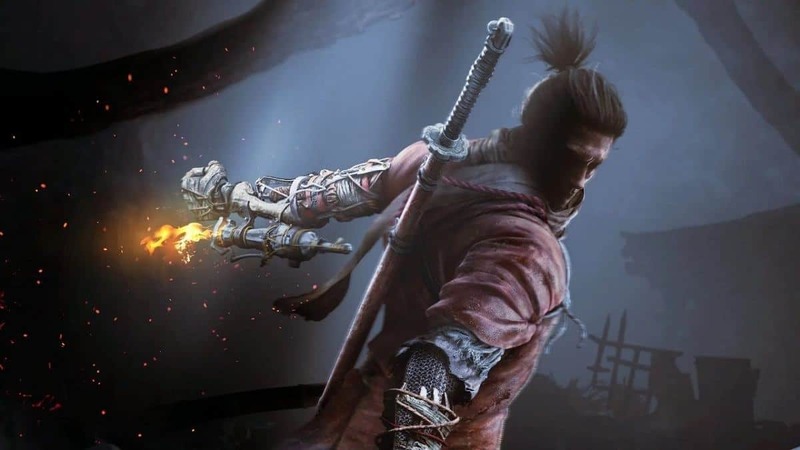 That is all for our Sekiro Ashina Depths Walkthrough with tips on how to get the Shelter Stone.